See the Price/User for the top CRM Software... plus the most important considerations and questions to ask. See the Price/User for the top Warehouse Management Software... plus the most important considerations and questions to ask. Actionable insights for leading CRM alternatives, including comparison ratings, reviews and pricing from actual selection projects – FREE. See the Price/User for the top Inventory Management Software... plus the most important considerations and questions to ask. 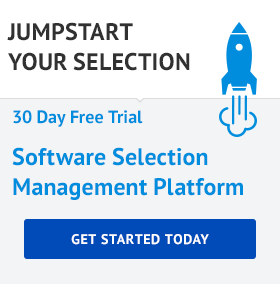 Want to See What Salesforce Alternative is Best For You? Actionable insights for leading CRM alternatives, including comparison ratings, reviews and pricing from actual selection projects - FREE. See the Price/User for the top Medical Software... plus the most important considerations and questions to ask. See the Price/User for the top Supply Chain Management Software... plus the most important considerations and questions to ask. In-depth insights on leading CRM solutions, including comparison ratings, reviews and pricing from actual selection projects - FREE. 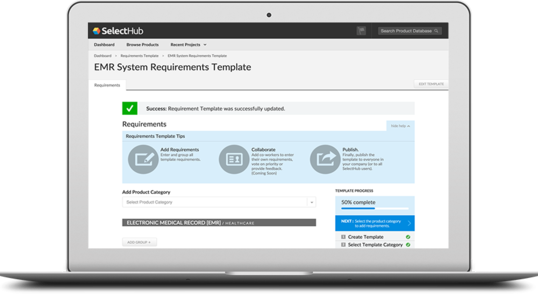 Jump-start your selection project with a free, pre-built, customizable CRM requirements template! Actionable insights for all leading HR software solutions, including comparison ratings, reviews and pricing from actual selection projects – FREE. Free, pre-built, customizable Workforce Management software requirements template. See the Price/User for the top HR Software... plus the most important considerations and questions to ask. Jumpstart your selection project with a free, pre-built, customizable requirements gathering template specifically for Supply Chain Management Tools. See the Price/User for the top Employee Scheduling Software… plus the most important considerations and questions to ask. See the Price/User for the top Performance Management Software... plus the most important considerations and questions to ask. Get a FREE comparison of ratings, reviews and pricing from actual selection projects - . See the Price/User for the top Payroll Software... plus the most important considerations and questions to ask. See the Price/User for the top Recruitment Software... plus the most important considerations and questions to ask. Free, pre-built, customizable Recruitment Software requirements template. Free, pre-built, customizable Employee Scheduling Software requirements template. Free, pre-built, customizable Payroll software requirements template. Actionable insights for all leading field services solutions, including comparison ratings, reviews and pricing from actual selection projects - FREE. See the Price/User for the top Talent Management Software... plus the most important considerations and questions to ask. Free, pre-built, customizable Talent Management software requirements template. Get ratings, reviews and pricing from actual selection projects – FREE. Get the report. See the Price/User for the top Marketing Automation Software... plus the most important considerations and questions to ask. Free, pre-built, customizable Procurement Software requirements template. Actionable insights for all leading solutions. including comparison ratings, reviews and pricing from actual selection projects – FREE. Looking for the Best-Fit Behavioral/Mental Health EHR System? Click here to get an in-depth comparison report. See the Price/User for the top Medical Practice Management Software... plus the most important considerations and questions to ask. Jump-start your selection project with a free, pre-built, customizable EAM requirements template. Tableau Desktop is business intelligence software for data analysis that keeps you in the flow. It’s easy to learn, easy to use, and 10-100x faster than existing business intelligence solutions. It’s built on breakthrough technology that translates pictures of data into optimized database queries. Use your natural ability to see patterns, identify trends and discover visual insights in seconds. No wizards, no scripts. Get powerful business intelligence dashboards that present the right data in direct, visual ways. Tableau Pricing GuideTableau business intelligence software is one of the most well-known BI tools on the market. Described by PCMag as “A superlative self-service business intelligence tool that continues to be the market leader because of its wide variety of visualizations, extensive supported data types, and slick finish,” Tableau software is one of the vendors that set the bar for BI capabilities. In other words, nobody will be judging you if you’re looking into adopting one of Tableau’s BI solutions. If you’re tossing around the idea of adopting this BI tool, you’re probably wondering what the models for Tableau pricing look like. Well look no further — we have a quick guide including everything you need to know about Tableau’s products and their prices.What Products Does Tableau Offer?The first thing to know before diving into pricing is what products are available. There are four versions of Tableau software available: Tableau Public, Tableau Desktop, Tableau Server and Tableau Online. Each has its own set of capabilities and advantages, so let’s dive into these:Tableau Public allows users to work with their data analytics within limitations, according to Surendra Sharma, a Tableau Associate. These limitations include limited data, no database connectivity (although Excel and text files work) and limited data privacy. We’ll dive into the “why” for these limitations in a minute.Tableau Desktop is the development product. It allows users to create their dashboards, which can include formatted reports and charts. Depending on your needs, you can choose between the Personal option and the Professional option. Personal is an isolated product that allows you to connect to six data sources, whereas Professional allows you to connect to 44 data sources and integrates with Tableau Server and Online.Tableau Server is the analytic software. With Tableau Server, you can view your data and data analytics in your dashboards. You can use Tableau Server to share your dashboards with other users who have access to Server.Tableau Online is self-described as a “hosted version of Tableau Server,” aka the cloud deployment of Tableau’s analytic software. This ensures that you don’t have to set up any of your own servers.Now let’s get to the prices:Tableau Pricing Tableau Public: Public is free to use for any user, which is why it provides limited functionality. Public is good for quickly analyzing data that you don’t mind being viewable to the public. It also serves as a way to try out the software before buying.Tableau Desktop Personal: You can download Personal for a one-time fee of $999 per user, and includes a year of support and upgrades. After that year, you need to pay extra for continued upgrades.Tableau Desktop Professional:Professional can be downloaded for a one-time fee of $1,999 per user, and also includes a year of support and upgrades, with the option to pay for more.Tableau Server: Pricing for Server starts at a one-time fee of $10,000 for 10 users. If you require more than 10 users, you’ll need to contact Tableau directly to get an exact price. Unlike Desktop, it doesn’t come with a year of upgrades and support, but can be purchased for 25% annually.Tableau Online: Following a typical cloud-based pricing model, Online goes for $500 per user, per year.  This includes continued automatic upgrades as well as support, and doesn’t require any hosting hardware.The prices above are general guidelines, however pricing can vary by number of users and company size. The best way to get an accurate number is to request a free price quote here.Tableau AlternativesIf Tableau interests you but you’re not sold and would like to keep searching, you can look for some Tableau alternatives on our Business Intelligence Leaderboard, and check out our article comparing Tableau to Qlikview and Microsoft Power BI.Qlik: Like Tableau, Qlik offers three different products: Qlikview, Qlik Sense and Qlik Sense Cloud. Each product has different versions with different capabilities, including free versions for each product. A data visualization tool, Qlik is one of the largest BI vendors that makes data analysis easy for most businesses.Microsoft Power BI: The Microsoft Power BI tool helps companies “compute into the future” with visualized data and sophisticated dashboards. Great for users who want an intuitive solution, Power BI features drag-and-drop functionality for generating insights. One of its best features is the ability to add custom applications.Sisense: Along with data visualization, Sisense allows users to combine data from multiple sources. This function helps gather the most accurate insights possible, since all of your data can be analyzed together. Sisense is tailored for mid- to large-sized businesses. QlikView, a product of Qlik is rapidly growing as one of the fastest BI and data visualization software. It is gaining popularity among companies as the product can be deployed quickly, can be used and learned easily. It is known for its powerful data discovery and interactive guided analysis. The product is the leader in the market for its data discovery feature. In the current highly competitive market, QlikView to meet the demands such as management and scalability needs of most enterprises has developed a highly advanced enterprise-class architecture. To ensure the quality of interactive data discovery, it provides a highly scalable, secure, and manageable environment. No matter where the data is located, data is file-based, on-premise, in the cloud, or in big data sources, it can access, combine and load the data from their exact location. Successful companies make bold decisions using business analytics. Rely on the proven power, simplicity, and breadth of Microsoft’s analytics toolset. Inspired by business, proven through our customers’ success. Dependent on your current software, amount of data to be migrated, availability of migration tools, complexity of data and gaps between the existing system and the new system. Dependent on the type of training opted by an Organization, whether it is end-user training or group/department training or video/self-training or training the trainer. What options are available for product deployment? Is there a minimum monthly or yearly commitment required for purchase? Is there an option of requesting custom quote? Does the vendor provide a free trial option? Despite its status as one of the cheapest business intelligence tools as well as having one of the simplest pricing structures, Power BI isn’t a one-size-fits-all solution. If you’d like to explore other BI tools, you can check out our Business Intelligence Leaderboard, and read our article comparing Microsoft Power BI to Tableau and Qlikview. Tableau is a powerful data visualization tool. It provides fast data analysis and data refreshing functions and, like Qlik Sense, is intuitive to use but doesn’t support scripts. Tableau is offered in Desktop, Big Data Analysis and Server. Like Tableau, Qlik offers three different products: Qlikview, Qlik Sense and Qlik Sense Cloud. Each product has different versions with different capabilities, including free versions for each product. A data visualization tool, Qlik is one of the largest BI vendors that makes data analysis easy for most businesses. Along with data visualization, Sisense allows users to combine data from multiple sources. This function helps gather the most accurate insights possible, since all of your data can be analyzed together. Sisense is tailored for mid- to large-sized businesses. Actionable selection insights on Cognos, Business Objects, and Crystal BI. including comparison ratings, reviews and pricing from actual selection projects – FREE. Actionable selection insights on Tableau and Microstrategy. including comparison ratings, reviews and pricing from actual selection projects – FREE. Jump-start your selection project with a free, pre-built, customizable Big Data Analytics Tools requirements template. See the Price/User for the top Business Analytics Software… plus the most important considerations and questions to ask. Discover the best Business Analytics vendors for you. Our Interactive analyst report gives you comparison ratings, reviews and pricing from actual software selections. Jump-start your selection project with a free, pre-built, customizable requirements template for Business Analytics. 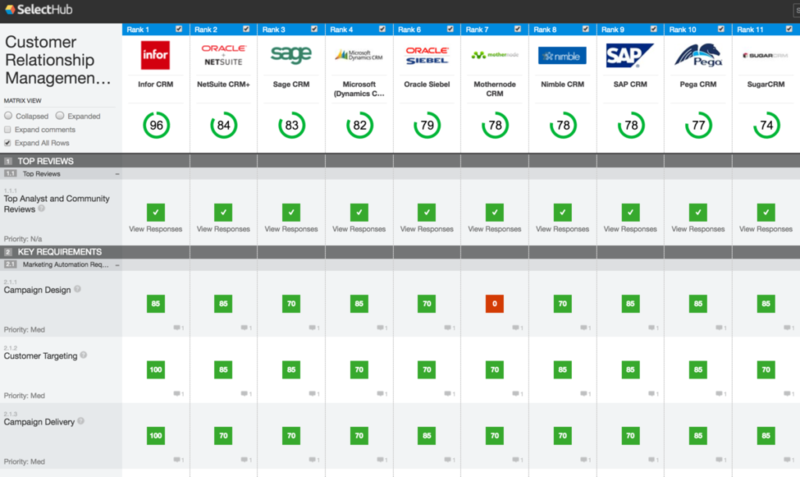 SAP vs Oracle: Which ERP Software Wins in 2019? Tableau vs QlikView vs Microsoft Power BI: Which BI Software Wins in 2019? What are the Different Types of Business Intelligence Tools? See the most important considerations, requirements and questions to answer when shopping for a BI tool. See the Price/User for the top Construction Management Software... plus the most important considerations and questions to ask. See the Price/User for the top Project Portfolio Management... plus the most important considerations and questions to ask.